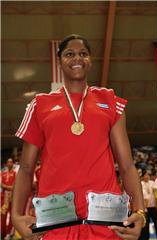 COLIMA, Mexico, June 29, 2007.- Cuban middle-blocker Nancy Carrillo was elected as the Most Valuable Player of the Sixth Annual Women’s Pan American Cup won by her team with a victory over Brazil. 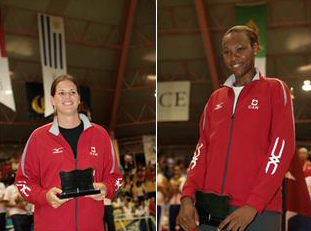 Carrillo was also de best attacker and the best server of the twelve-team competition, a qualifier for the 2008 FIVB World Grand Prix. 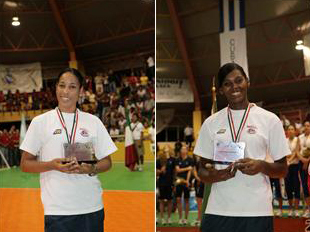 Dominicans Bethania de la Cruz and Carmen Rosa Caso resulted in the best scorer and libero and Canadians Tasha Holness and Larissa Cundy were the best blocker and setter respectively. 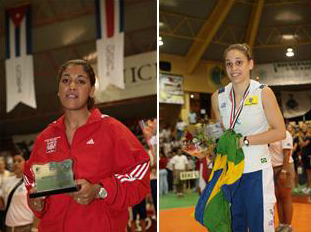 Peruvian Vanessa Palacios and Brazilian Camila Brait were the top receiver and defender of the sixth edition of the intercontinental event.